The real estate market picked up in most parts of the country over the past couple of years. As that happened, many homeowners who had been waiting for home values to rise began listing their homes or looking for ways to maximize the value of their property with home improvements. Like the homes in which we live, not all home improvements are created equal. Some home improvements have been proven over the years to provide a consistent return on your investment. Here are 6 home improvements that consistently provide good ROI. Professional (or at least professional looking) landscaping raises the value of your home because it helps seal a great first impression. Realtors & homebuyers often cite poor curb appeal as a major reason not to purchase a home. Nothing says curb appeal like a well-manicured lawn, freshly clipped shrubs, & weed-free mulch. It doesn’t take a huge investment of time or money to ensure that homebuyers aren’t turned off before they even walk in the door. When homeowners consider how to add value to their house, a kitchen is often the first place that comes to mind, and for good reason. Whether you spring for a major kitchen remodel or stick to a minor project, kitchen remodels of all sizes nearly always make top 10 lists for the best return on home improvement. Like kitchen remodels, homeowners typically recoup over 80% of what they spend on bathroom remodels. 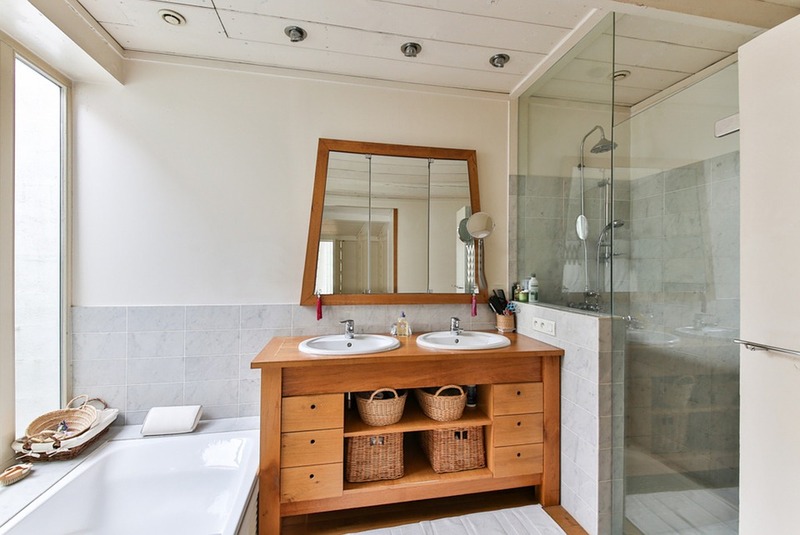 Common bathroom upgrades include new flooring, showers, lighting, & vanities. If you’re looking for a place to start, downstairs bathrooms & master baths tend to get the most attention from homebuyers. Like landscaping, flooring is a DIY project that homeowners can tackle to improve their homes. Replacing carpet or adding hardwood drastically changes the feel of a room. Many homeowners prefer hardwood downstairs with carpet upstairs for warmth & sound considerations. Changing out linoleum for tile in the bathroom or kitchen is a nice way to upgrade without undergoing a full remodel. Both wood & vinyl windows have their pros & cons; however, you can rest assured that either option will likely bring you a high return on your investment when you go to sell your home. New windows also reduce ongoing utility expenses, making them a great investment even if you don’t plan to sell right away. Another home improvement that gets a good return on investment is a two story addition. Granted, it can cost a lot to take on one of these projects, but it adds livable space for you while you’re there & you will probably recoup much of what you put into it. With any home improvement, you always want to keep in mind the price range of your neighborhood. Investing in a $75,000 two story addition won’t benefit you as much if your home is already the largest & most expensive in your neighborhood. On the other hand, a $12,000 kitchen remodel might be just the thing to set it apart from nearby competition.